We’ll take a focused look at Tokyopop’s contributions to this week’s ComicList, since they’re releasing new volumes of two of my favorite series. First up is the ninth volume of V.B. 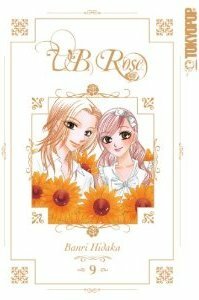 Rose, written and illustrated by Banri Hidaka. It’s about a talented young woman who goes to work for a high-end bridal shop and enters into a tricky romance with the lead designer. I’m very taken with Hidaka’s illustrations, and I like the characters a lot. The book overall, with its appreciation of the transforming power of fashion, reminds me of a kinder, gentler Paradise Kiss, which was recently the subject of a Manga Moveable Feast. It’s not as deep or moody, but it’s got a lot of potent emotional content and some serious sparkle working in its favor. V.B. Rose originally ran in Hakusensha’s Hana to Yume. Hakusensha is a mighty font of shôjo joy. 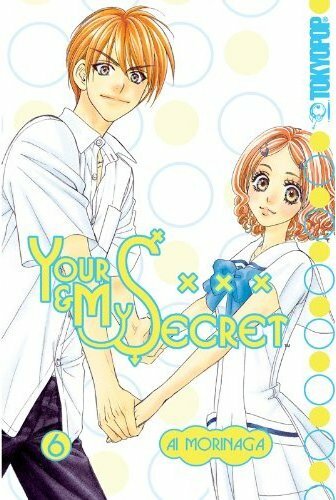 Ai Morinaga’s funny, sneaky Your and My Secret just about catches up to Japanese release with its sixth volume, which is kind of strange, since this was a series that was originally licensed by ADV, then abandoned, then picked up by Tokyopop and put out at something of a trickle, and the creator took a break from the series for a while. Anyway, it’s about a timid boy and an obnoxious girl who trade bodies and find themselves surprisingly open to the new romantic possibilities. Morinaga has a twisted sense of humor, and I enjoy her comics (like My Heavenly Hockey Club from Del Rey) a lot. This series is running in Mag Garden’s Comic Blade line, which has generally escaped my scrutiny but looks like it runs some endearingly weird books. It’s already out, but I always like to link to appreciative reviews of Mari Okazaki’s gorgeous Suppli, like this one by Johanna (Comics Worth Reading) Draper Carlson of the recent collection of the fourth and fifth volumes. If the josei category is under-appreciated in general, Suppli is massively and specifically under-appreciated. It was on hiatus for ages, and Tokyopop just resumed publication of this wonderful office-lady comedy-drama that originally ran in Shodensha’s Feel Young. You are currently browsing the The Manga Curmudgeon blog archives for the day Tuesday, August 3rd, 2010.